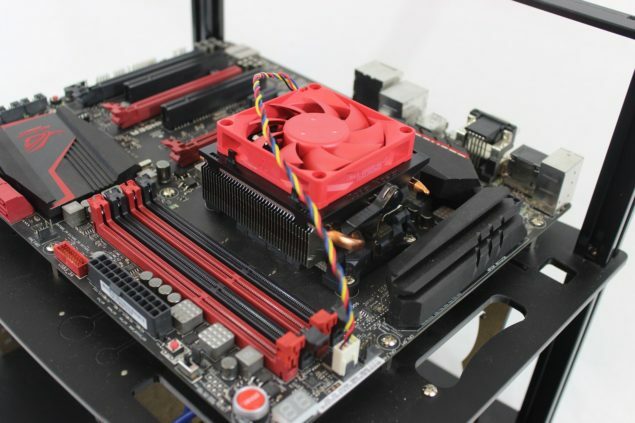 A10 7860k Review, AMD’s Most Efficient Desktop APU Yet. 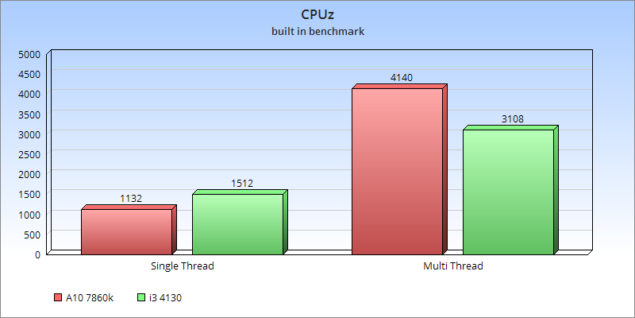 We just wanted to run some basic tests on the CPU portion of the A10 and see how it stacks up to the Intel Core i3 4130. 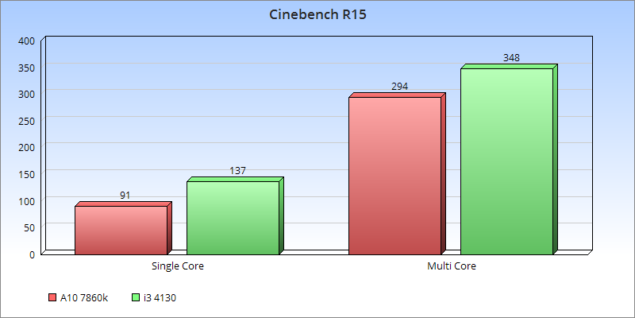 The first test we ran was Cinebench r15 to test Single Core and Multi core performance across both CPUs. It’s no surprise here that the core i3 would be the winner, but it wasn’t quite the margin I expected it to be, but still a good showing by the stronger cores on the Haswell CPU. 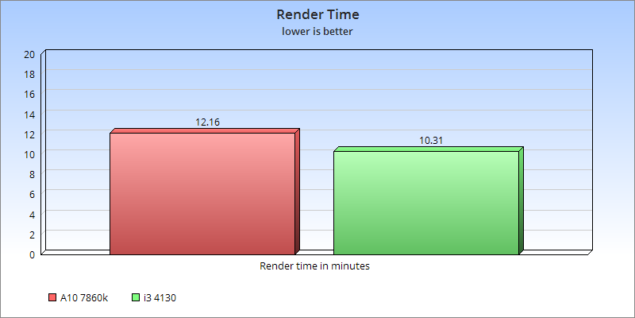 Taking a quick comparison utilizing the newer CPUZ benchmark we see both coming much closer together overall. The last thing we looked at was rendering a video on Sony Vegas Pro 13. As start up youtubers and let’s plays continue to grow, people are asking more and more about rendering capabilities of these lower end solutions so we wanted to share that as well. These results were along the lines of what we expected to see out of both processors, but let’s move on to comparing the gaming capabilities of the iGPU of these two chips.